Headquartered in Portland, Oregon, Bridgetown Trucking provides dedicated, Multi-faceted transportation services, warehousing, order fulfillment services and more from our Portland, OR and St. Louis, MO facilities. We’re proud of our reputation for efficient work, integrity, and incredible customer service. We have been moving goods for businesses of all sizes; from the small and mid-sized to Fortune 500 companies for the past 20 years. Our reputation is founded on efficient work, integrity, and incredible customer service. At Bridgetown Trucking, our business is about providing great service to our clients and their customers. Our clients and employees come first. We continually work to maintain a supportive and collaborative environment. Bridgetown Trucking is proof that when employees are treated well, and are engaged in their work, the end result is a productive company with satisfied customers. 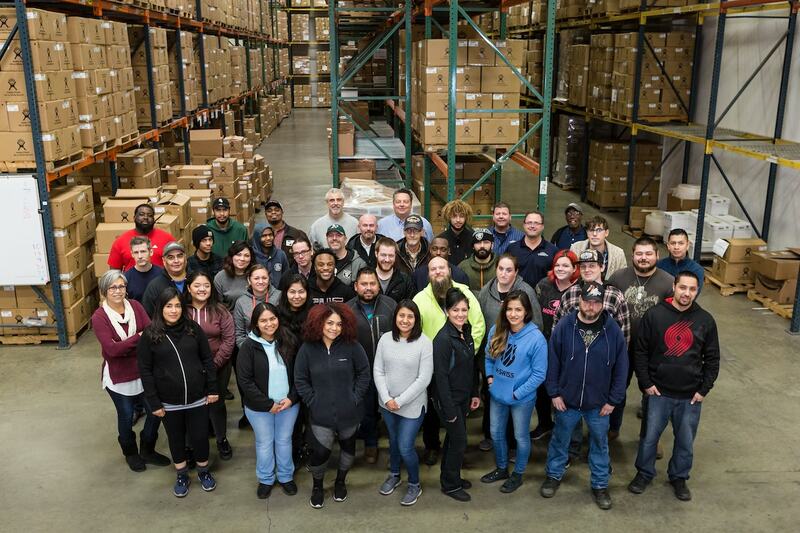 The combined experience and contribution of our employees — on the road, at our warehouse facilities, and in our offices — is what has made Bridgetown Trucking a leader in the transportation and warehousing industries. Bridgetown Trucking began in 1999 when MSAS Global wanted to improve service and dependability for its customers. The company contracted us to provide one dedicated 24-foot box truck to improve the overall customer experience and service level. Now, nearly 20 years later, we’ve expanded our service area to include two locations, which each operate autonomously to serve local clients and customers. Operating from four warehouse locations, with the newest fleet of tractors and trailers equipped with the latest state of the art tracking systems has allowed Bridgetown Trucking to develop a large and diverse customer base. We continue to thrive in a competitive market and we have expanded to new services areas to serve our customers. Bridgetown Trucking’s diverse service offerings has allowed us to develop efficient operating standards. The result is a smooth-running, streamlined system that makes life easy for our clients and their customers. We can move freight to and from the airport. We’ll store it for you or deliver it straight to its destination. Need to move your goods on your schedule? Rely on our flexible, customizable dedicated trucking services. Our expert drivers will safely and efficiently transport all your large and heavy items to their destinations. Moving freight by ship or train? We’ll deliver your shipping containers to and from ocean and rail yards. We provide short- and long- term secure storage options, order fulfillment, Customs bonded facilities, and more. If your items need to be transferred to or from shipping containers, we’ve got you covered. We offer these services and more. We pride ourselves on our ability to find services and schedules that fit your needs. Interested in working with us? Have questions? Get in touch to learn more. The individuals who drive our trucks and work at our facilities are the heart and soul of what we do. Without them we wouldn’t be where we are today. Because we hire the best employees and treat them right, our clients fully trust the people who handle and transport their goods. Interested in becoming an employee of Bridgetown Trucking as a driver or a member of our warehousing and storage team?